Famous for her regular Saturday morning TV appearances as a film commentator on popular TBS show “King’s Brunch,” half-Swedish entertainer LiLiCo says her work is such fun it is the fundamental driving force in her life. The 44-year old from Stockholm divides her time between seven regular TV appearances, performing as a singer and speaking the words of character Eric Cartman in the Japanese version of “South Park.” She also finds time to market Swedish products and to write. Busy? Yes. Worn out? No. She revels in it — and loves the attention. LiLiCo’s real name is Ann-Sophie, but she asks that her family name not be published, citing privacy concerns. She dreamed of stardom from an early age. 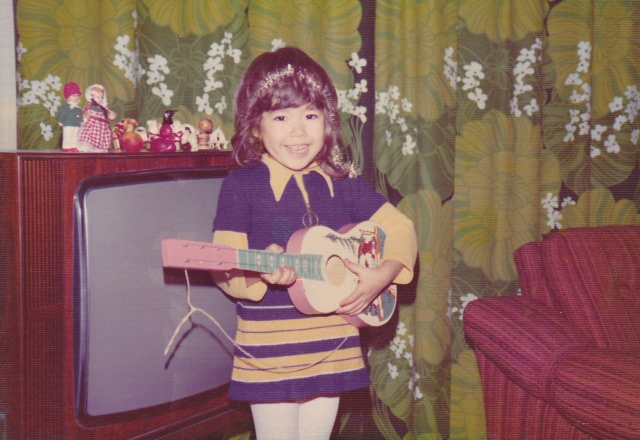 When she was 4, she was glued to the TV, watching performances by pop supremos ABBA. 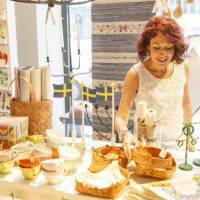 At 18, she left Sweden and joined her grandmother in Tokyo. Born in Sweden to a Japanese mother and a Swedish father, LiLiCo became interested in music at an early age. It was a way to escape the stress of daily life. 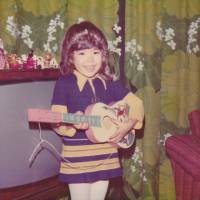 As a biracial child growing up in Sweden in 1970s, where foreigners of Asian descent were a rarity, she was an easy target for school bullies, including a classmate who burned her hand with a hot iron. She said her parents never provided her with the comfort and support she craved. In fact, her parents fought frequently. Her father left the family when LiLiCo was 9 — and the family’s split convinced her to try life anew in Japan. “I guess I got tired, as ever since my parents got divorced I spent most of my time taking care of my little brother, who had a severe allergy and asthma,” she told The Japan Times in an interview. “Music was my escape and I had always longed for the life of a pop star like Madonna,” LiLiCo said. At the time, Sweden wasn’t an ideal place for an aspiring young talent to find opportunities to perform on stage and realize her potential. “You had to send out demos to recording companies . . . you had little chance to be recognized. But in Japan, there were many TV channels with a number of (variety) programs,” she said. When LiLiCo arrived in Tokyo in 1988, she was only 18 and her Japanese skills were limited to phrases learned from the TV miniseries “Shogun,” which was popular with audiences in Europe in the 1980s. LiLiCo’s grandmother, who lived in Katsushika Ward, offered her a place to stay — but she was also the first person to give her the affection she felt she lacked in Stockholm. Her grandmother would track down newspaper clippings about auditions and singing classes that might help LiLiCo further her stage ambitions. Her encounter with the “enka” genre of ballads led her to audition for a singing job which led to her first booking, performing at a small beer garden in Hamamatsu, Shizuoka Prefecture. After briefly returning to Tokyo, and without feeling discouraged by the low pay, LiLiCo decided to strike out on her own in Hamamatsu — a place of karaoke lovers and young aspiring singers like her, as she describes it. She found a flat and chose a stage name inspired by Lili Lace, a character portrayed by Phoebe Cates, a rising Hollywood star in 1980s, and added the suffix “ko” to make it sound Japanese. Securing a contract with a talent management company, she launched a full-fledged career as a singer in May 1989. Her initial lucky streak, however, did not last long. A few days after her 20th birthday, she returned home late at night to find she had been locked out of her apartment. It was a silent eviction order by the president of the company that owned the premises. LiLiCo still suspects the manager’s big sister, who lived in the building, wanted her out because she was a foreigner and made her neighbors uneasy. She immediately called her manager, who said he would continue to help her. LiLiCo spent the next five years crisscrossing the country with him, a man 20 years her senior. They would drive long distances to engagements in bars and any venue that would allow her to perform, sleeping in the car and barely making a living. In 2001, as her talent became widely known, she was offered a job as a film commentator on the TBS variety show “King’s Brunch” — a role she still holds today. “I want people to enjoy movies more because people don’t bother to go out to see movies these days,” LiLiCo said. She adds that one of her dreams is to write the Japanese subtitles for Swedish movies that are not currently available in Japan. LiLiCo is a person of action. She says she does not plan out her ideas on a to do list; she just acts on them. She keeps busy with a mountain of jobs. She sings, acts, designs jewelry and bags, and even performed a one-off gig as a promotional ambassador for a short-film festival. She says she spends much more time preparing for TV appearances behind the scenes than performing on screen. “Before reviewing a film, I often go to three screenings,” LiLiCo said. 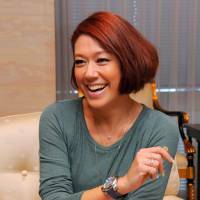 Noting that there are 24 hours in a day, which she believes is enough time to manage everything, LiLiCo said she has no problem with cramming her work into a tight schedule. 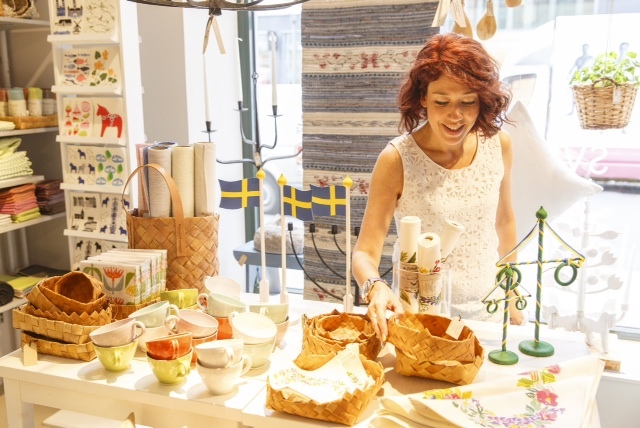 In July, she started LiLiCoCo, an online store offering Swedish handmade products she flies to Sweden to select herself, hoping that original goods such as knitted gloves will help Japanese people become familiar with Sweden’s traditional crafts. As one of the few prominent Swedes in Japan, LiLiCo believes she has a mission to spread awareness of her original culture. She is constantly thinking about creating new television programs and shows about Sweden. She hopes to encourage more Japanese to visit the Nordic nation, and has organized tours to the far northern city of Kiruna, where from September to April it is possible to see the aurora borealis. At least once a year she also organizes a sell-out event with fans at a Swedish restaurant in Tokyo’s Roppongi district. LiLiCo’s literary aspirations include a picture book for children, to teach them about kindness and manners — qualities she feels are often forgotten in today’s society. Although she characterizes herself, perhaps counterintuitively, as a “negative thinker,” LiLiCo says what that means is she does not get discouraged by failure. Instead she has managed to overcome adversity through hard work. “If you wait for something to happen or an opportunity to come, you will never succeed,” she said. Moreover, she succeeded in doing this even at a time when Japan was less open to foreigners and its entertainment industry offered fewer opportunities than today. “When I came to Japan, there were no roles for me,” she said, referring to her then dream job playing a character in a TV miniseries. Being half-Japanese and someone who had poor Japanese skills when she arrived, she says mastering the language of whichever country one lives in is indispensable for being assimilated into the culture. She says she herself has done all she can to understand and adapt to Japanese culture despite adversity. “I never use expressions like ‘isogashii’ (busy), which in Japanese is written with kanji whose elements literally translate as ‘to lose heart,’ ” she said. “That’s because everybody is experiencing the same feeling, and you have to go through it before you can achieve something.